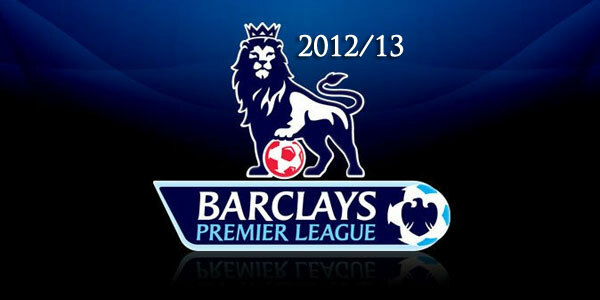 The 2013/2014 EPL Fixtures Released !! Tags: Barclays, Chelsea FC, David Moyes, EPL Fixture, José Mourinho, Liverpool, Manchester City, Manchester City F.C., Manchester United, Mark Hughes, Tottenham Hotspur F.C., West Ham United F.C. The fixture list for the 2013/14 season was released on Wednesday which begins on August 17.A highly awaited season because of major changes among many top teams doesn’t seem to disappoint from the word ‘GO’. Jose Mourinho and David Moyes will go head-to-head in an early high volatge tryout for the new managers of Chelsea and Manchester United in just the second game of the season.Other two major teams Everton and Stoke City begin new eras under Roberto Martinez and Mark Hughes respectively against Norwich and Liverpool on the opening day. Promoted Cardiff City travel to West Ham United whereas Crystal Palace mark their return to the top league with a home match against Tottenham Hotspur. Fasten your seat belts for the Real Action!! 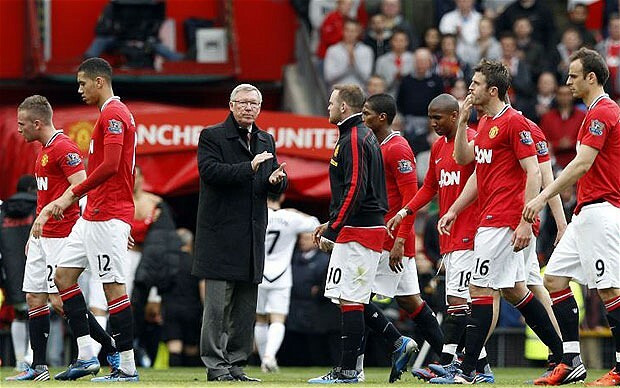 2011-12 English Premier League Review : Dramatic Sensational Season Ever ! The 2011/2012 witnessed a breathtaking season in the top 5 leagues in Europe. Leading the race among all for its excitement,drama and suspense was English Premier League with Manchester City staving off competition from their red neighbours Manchester United to claim the English title for the first time after 44 years defining the season as (arguably) the best in the England’s top flight 20-year history. The 2011-12 English Premier League season was the greatest ever in terms of statistics and incidents on-off the field from calls for goal line technology, inter-squad brawls, racial abuse cases, and the most contested race for Champions League spots ever. And never has the title race gone down to the dying moments of the league. Manchester United clearly had deficiencies at the back and in midfield and a champion team which they are need to get this cleaned off before the new season starts. Losing the league title on goal difference would make it more difficult to match Man City whose financial strength is now backed by a new wave of confidence. It will come down to Fergie’s genius, team grit and expected summer buy/transfers. 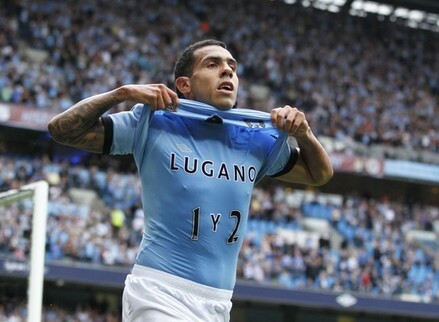 As far as the noisy neighbours are concerned it was the dream outcome at the Etihad, City winning the game and title. QPR lost but still made it to next season courtesy of Bolton’s failure to win at Stoke. Man City were deserved champions and QPR deserved staying up simply because of their excellent form at home and the fact that they remained resilient and in quest even after their mid-season manager sacking, takeovers etc. Coach Manchini deserves pat on the back for holding it all together when the title was all but lost, keeping rebels like Balotelli and Tevez from tearing apart his squad, and coming on top of Sir Alex in terms of mind games. Things are only going to get better for the champions assisting them in their next step conquering European championship. For the other London clubs competing for the champion’s league spot Arsenal’s win over West Brom guaranteed their place in the top league whereas Tottenham despite winning against Fulham and finishing fourth were denied a champions league spot courtesy Chelsea becoming the European champion .Arsenal had a remarkable comeback after a disappointing start to season with a 8-2 thrashing in the hands of Manchester united. To lead the comeback was none other than ‘The Flying Dutchman’ Robin Van Persie and tactics of Arsene Wenger. Still Gunners need to sort out on front of new players and transfers to make in next season in quest to remain in top four and flourish in Europe. Chelsea, The Blues are very much among the top disappointing teams of the season given the amount of money spent and form they were in at the end of the last season. Zooming off to great start scoring mammoth number of goals initially ,they lost the plot mid-season caught in various controversies on-off the pitch; Leading to sacking of Andre Vilas Boas once predicted to be one capable of continuing the legacy of Jose Mourinho. It was only after appointment of interim coach Di Matteo which lead to The Blues winning the FA cup and Champions League erasing some bad memories of premier league. Toping this section has to be Merseyside Liverpool who despite with some quality wins, a Carling Cup silverware, and finishing 8th in the table, the Reds never lived up to the preseason hype and the promise they showed at the end of last season. 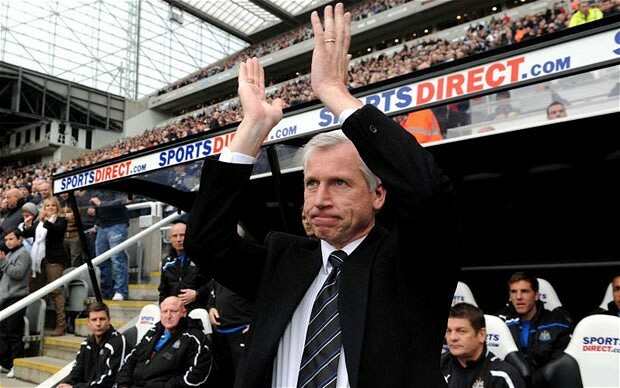 Talking about the most surprising team of the season without a doubt was Newcastle who showed that Alan Pardew‘s controversial appointment was worth it. His dealings in the transfer market and man management skills helped boost the club. They were very close from playing in the Champions League next season but only a hard run at the death matches stopped them – they do have Europa League football though which is not a bad consolation prize for a club like Newcastle. 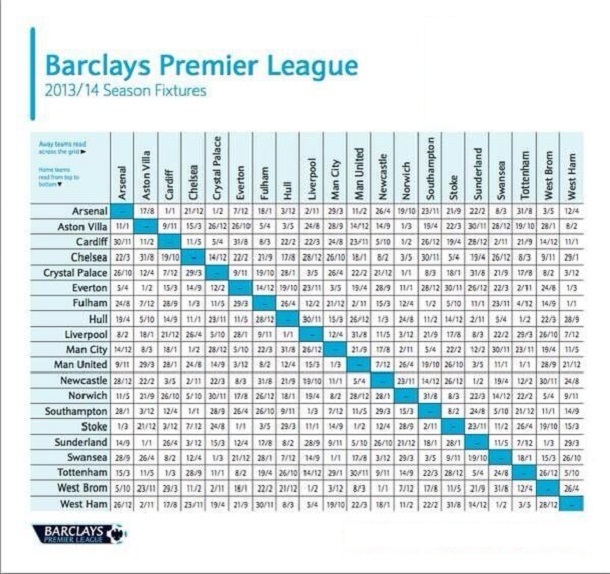 Norwich and Swansea also came as a surprise package despite being newbie in the league. For the best match of the season we had some close contenders from Manchester United vs. Blackburn, Manchester Derby to Chelsea vs. Arsenal. 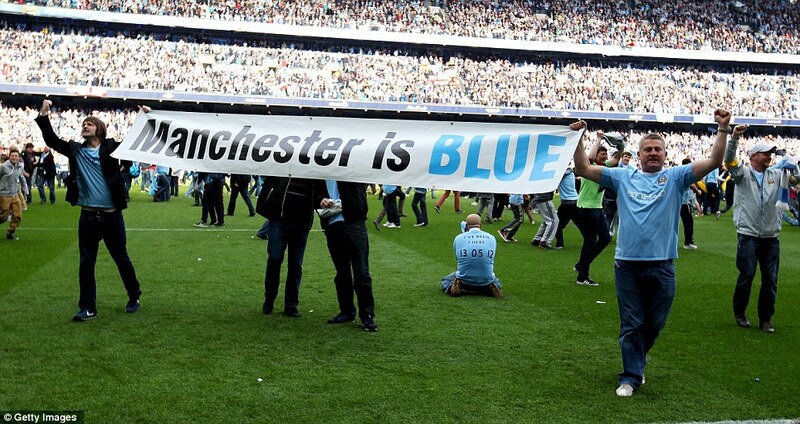 But it has to be the last game of the season between Manchester City vs.QPR which ultimately sent the title to the blue side of Manchester. A player that had the most impact it’s got to be Papiss Cisse. No January signing has ever had such a huge impact in the transfer window era as him, and his goals nearly took Newcastle into a shock Champions League spot. Not to forget his improbable goal against Chelsea undoubtedly the best of the season,a real thing of beauty. 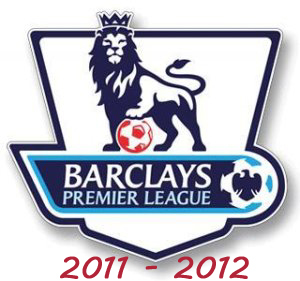 2011-12 Premier League Season: Greatest epic season ever. 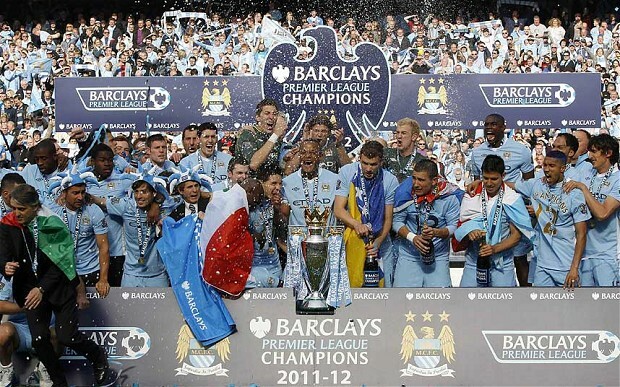 EPL 2011: Theatrical Epic Final Day -When Manchester turned blue! World witnessed mother of all EPL final day. A lot was on stake ranging from Premier league title to champions league qualification and relegation group. 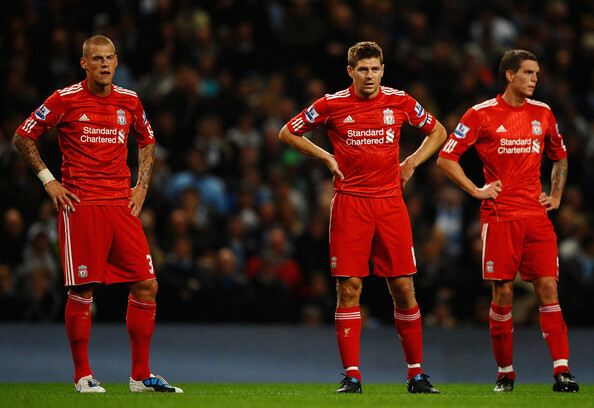 EPL known for its uncertainty, surprises and drama lived up to it even on the final day of the EPL 2011 season. “You want drama…we give you drama”, said ESPN commentator Ian Darke! Exactly that is what we got, a title going to be retained in Manchester, only needed to choose its color to embrace: Red or Blue. It came down to the last-minute of play as Manchester City came out on top on the most dramatic final day in Premier League history, scoring twice in injury time to win its first English league title in 44 years. City needed a victory over Queens Park Rangers on Sunday to clinch the title but was on the verge of handing the trophy to Manchester United when it trailed 2-1 with 90 minutes played. Arch rival Manchester united thought they have retained the title after their 1-0 win over Sunderland and game at Etihad heading for a draw after Dzecko’s injury time goal. Only to be denied in the last-minute with Sergio Aguero keeping his cool and finding the net to clinch the title of the ‘Noisy neighbors ‘.Blue part of Manchester going to get louder and more noisy. Manchester city struggled to break the visitors down for much in the first half, only to score a soft one through Zabaleta. They were stunned in second half which saw QPR scoring twice, one helped by Lescott`s awful error and other one on a counter attack after QPR were down to 10 men (Barton lost his cool and was ejected in shocking circumstances).With more than 84% ball possession City, throwing caution aside, hammered on the QPR goal only to find disappointment. They pressed and pressed but QPR were inspired in defense and even Mancini had surrendered all self-control, raging at every over-hit cross and lousy shot as the title lurched back in United’s direction. It was only in the injury time city managed to zip across QPR’s stubborn defense and register a dramatic 3-2 win. Arsenal managed to finish19 points back in third place clinching Champions League qualification for a 15th straight season with a 3-2 win at West Bromwich Albion. Tottenham came in fourth place after Adebayor and Defoe scored a 2-0 win over Fulham. But they have to wait for the verdict on their Champions league qualification till the result of may 19 Champions league final between Chelsea and Bayern Munich.Newcastle finished in fifth place after losing 3-1 at Everton and Chelsea was sixth — its lowest position since 2002 — despite a 2-1 win over Blackburn. Bolton filled the final relegation spot after a 2-2 draw at Stoke with Blackburn and Wolverhampton Wanderers already relegated. 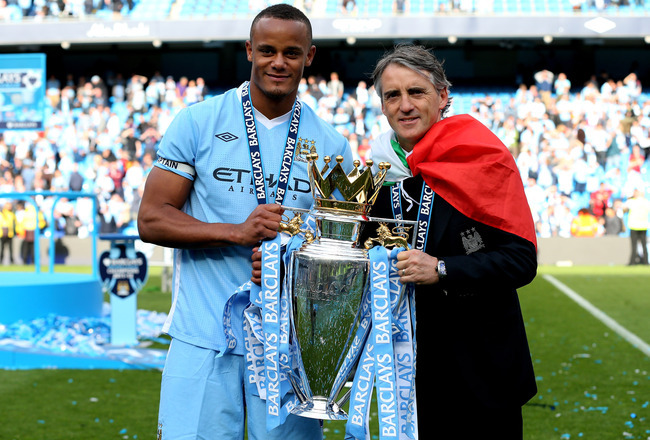 Well Done Manager, Roberto Mancini….Manchester City Captain, Vincent Kompany . A title well deserved. 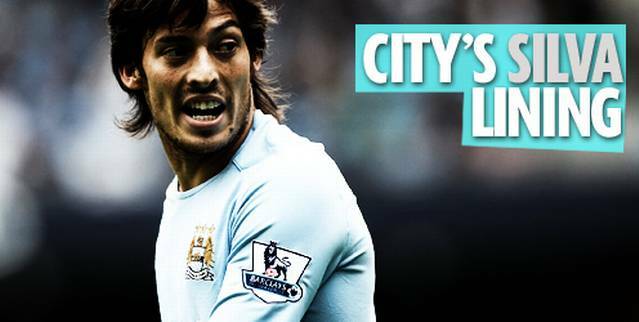 David Silva – ‘Wild pony’ who took the premier league by storm! Manchester City playmaker David Silva who turned 26 this January have taken the Premier League by storm since his arrival from Valencia eighteen months ago. 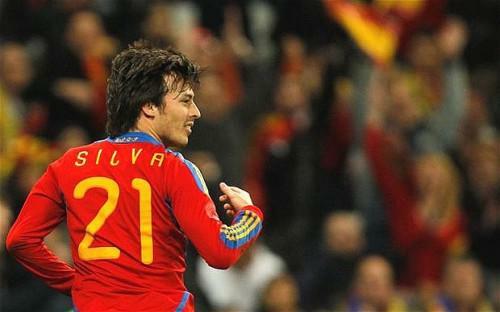 David Silva has received praise from all quarters this season for his performances and rightly so. He has illuminated up the English Premier League with his passing ability which has left many defences flabbergasted. Such has been his cult status with the premier league leaders at the Ethiad stadium that it comes hardly as a surprise to discover that a t-shirt bearing the slogan that simply reads “Keep calm and give it to Silva” is a best seller. 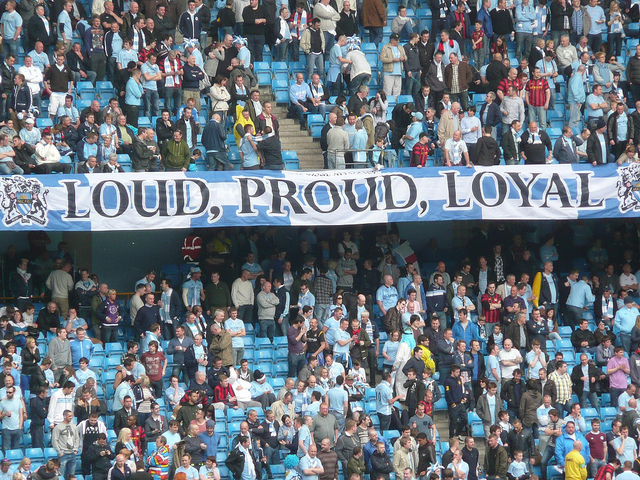 For Manchester City fans as long as David Silva is on the pitch, its impossible to put the ‘The noisy neighbours’ on the back foot. David Silva has definitely been a better passer as compared any other player in the league. For the sake of stats David Silva has completed a staggering 939 passes with an accuracy of 85%.Shooting accuracy for Silva has been 58%.Tackle success of 65% making astounding number of interceptions so far this season. He has been a inverted forward who is more of a wing playmaker. He looks to cut inside and thread passes, but is also prone to hitting the by-line to deliver a cross. Lately has transformed himself into increasingly prone to moving into central positions from out wide.Not to forget that this is only his second season in England, a tempting thought for Man City fans must be that there is more to come. But despite his scintillating performances for his club so far, he has been a victim of his national team’s almost unenviable layout of talent .Lack of a regular starting berth has frustrated him a lot. It is this confusion which looms in the minds of every other fan at the Ethiad stadium, why their little genius isn’t receiving the recognition from his country that he undoubtedly deserves. Considering the current standing a premier league medal is very much in the hands of David Silva, which would certainly lead to more caps for the national side on his head. As far as Premier league is concerned, he is an integral part of Roberto Manchini’s plan to build up a dynasty of immortals. Here’s a recap: Manchester united needed a draw against Swiss team FC Basel (easy task*) .Manchester City needed to beat Bayern Munich to have any chance of advancing out of Group A. 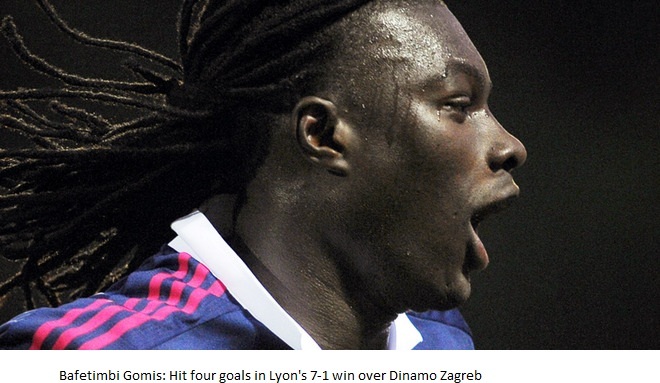 Then we had this remarkable game between Lyon and Dynamo Zagreb. Lyon entered the game needing a win and to turn around a goal difference 9 goals against them in order to qualify ahead of Ajax.Ajax lost 3-0 to Real Madrid, leaving Lyon needing a six goal winning margin in Zagreb, which they duly managed, with six second half goals, to win 7-1. 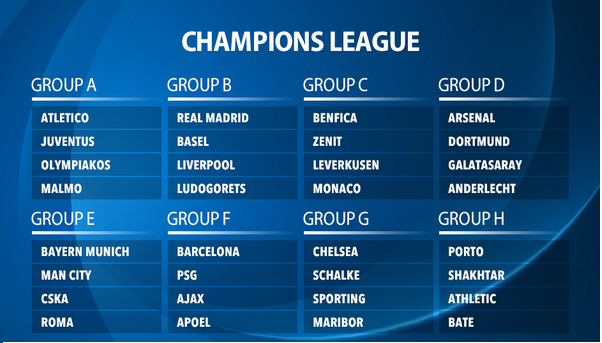 Chelsea and Bayer Leverkusen were already through in Group E. Same with Arsenal and Marseille in group F , Barcelona and AC Milan in group H, Real Madrid and Inter Milan from group D&B respectively.There were some twists and turns, but no surprises best teams went on to next round. Very soon knockout draws will give us a good idea of who might be a surprise entrant to the last eight, and who might have their European venture ended untimely.